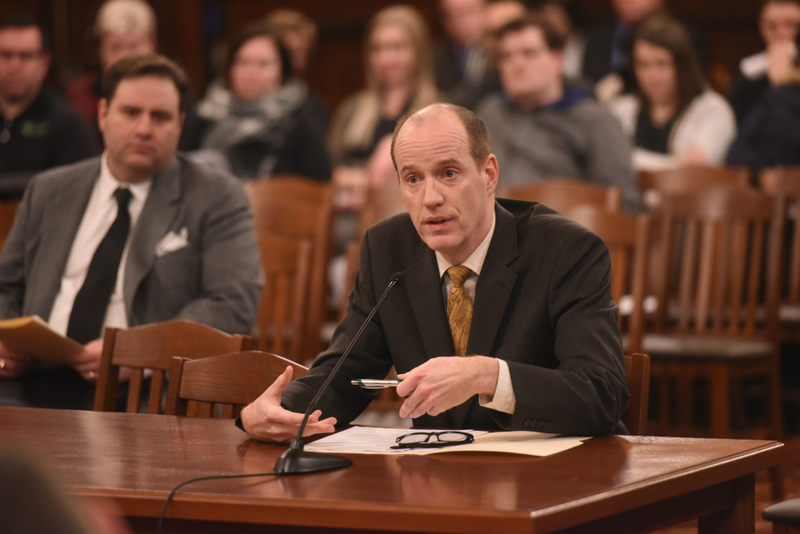 SPRINGFIELD – A legislative effort to help stop the spread of influenza in hospitals and other health facilities was approved by an Illinois state senate committee today. The measure, House Bill 2984, is sponsored by State Senator Bill Cunningham, a Democrat representing Chicago and the southwest suburbs. The bill allows certified local health departments and any facility licensed by the Illinois Department of Public Health to implement more stringent flu vaccination policies aimed at protecting patients from exposure to the flu and improving vaccination rates. “Given the concrete science behind the effectiveness of flu vaccines, we have a responsibility to protect patients from being exposed to the flu virus by the public employees delegated to care for them,” Cunningham said. Under current law, employees of hospitals can refuse a flu vaccination for any reason as long as they declare a “philosophical objection.” Public health experts have testified that this loophole leaves patients vulnerable to the spread of influenza while they are hospitalized. If HB 2984 becomes law, only hospital employees with religious objections and certain medical conditions will be able to refuse the offer of a vaccination. "This veto directly contradicts Gov. 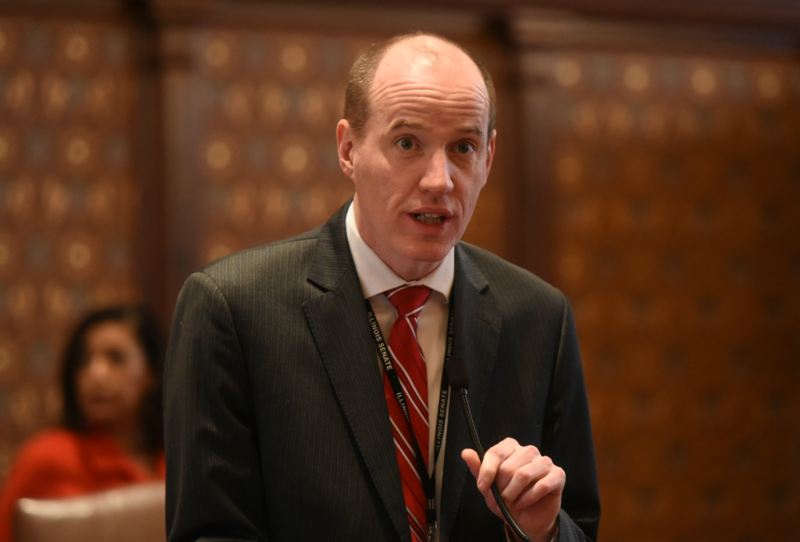 Rauner's repeated commitment to pursuing bipartisan solutions to reduce gun violence," Cunningham said. "Given that the Gun Dealer Licensing Act is a sensible measure worked on by both sides of the aisle and supported by 85 percent of Illinoisans, this decision is unacceptable and deeply disappointing, The licensing of gun dealers is an action that is well past due." SPRINGFIELD – Illinois voters may get the chance to let their voices be heard on the subject of the legalization of cannabis under legislation passed in the Illinois Senate this week. The legislation, Senate Bill 2275, would place an advisory question on the 2018 ballot asking Illinois voters if they are in favor of marijuana legalization. The legislation would not legalize the sale of recreational marijuana. CHICAGO - In response to inquiries from Mount Greenwood and Beverly area medical professionals and concerned residents, the University of Chicago has agreed to bring a comprehensive cancer and chronic disease study to the 19th Ward. The Chicago Multiethnic Prevention and Surveillance Study (COMPASS) is designed by researchers at the University of Chicago Medicine Comprehensive Cancer Center to understand how lifestyle, healthcare delivery, environment, and genetics affect health. COMPASS aims to determine why certain population groups in the city of Chicago have higher rates of occurrence of cancer and chronic diseases than others. "Both medical professionals and elected officials in our area have received numerous inquiries about what seems to be the frequent occurrence of certain cancers in the community," said State Senator Bill Cunningham. “Unfortunately, public health agencies have been unable to reach any conclusive findings on the matter. Having a prestigious research institution like the U. of C. conduct a formal health survey in the community should help end speculation and provide us with some hard data." Last year, 19th Ward Alderman Matt O’Shea, State Representatives Fran Hurley and Kelly Burke, and Senator Cunningham held a series of meetings with constituents and local medical professionals about the possibility of a “cancer cluster” existing in the area after several children in Mount Greenwood were diagnosed with various forms of cancer. The meetings spurred a request to the Chicago Department of Health and the Illinois Department of Public Health (IDPH) to conduct a review of reports of cancer in the area. IDPH subsequently conducted and released an "Epidemiological Report" covering Mount Greenwood, Morgan Park, Beverly, Evergreen Park, and Oak Lawn that looked at reports of cancer from 2005 to 2014. IDPH found that there was no evidence to suggest an abnormal number of pediatric cancer incidents in Mount Greenwood or any of the surrounding communities. However, the IDPH report did find elevated occurrence of breast, lung, and prostate cancer in the area compared to levels reported in Cook County as a whole. The report did not offer any explanation for the increase incidents of those cancers. "Even though the IDPH report did not find elevated incidents of pediatric cancer, we still have a number of unanswered questions about cancer in our community," Hurley said. "The U. of C. study will examine whether certain behavioral or environmental risks are affecting our health." Alderman O’Shea credited two local medical professionals, Dr. Moira McQuillan McGee and Brisa Aschebrook-Kilfoy, an epidemiologist at the University of Chicago, with spearheading efforts to formally research cancer occurrences in the area. As part of the COMPASS study, U of C researchers are working in various Chicago neighborhoods to recruit study participants. Eligible participants are asked to complete a specially designed interview (questions about lifestyle, environmental exposure, and medical history), and to provide a blood and urine sample. Radon and drinking water tests in various homes may also be conducted. Participants are also asked to fill out a follow-up questionnaire every two to three years to obtain updated health information. The goal of COMPASS is not to diagnose cancer among individual participants, but to identifying what behavior and environmental exposure might cause disease across different population sub-groups, which will help U of C to develop new strategies to prevent cancer and other chronic diseases among Chicagoans.